Quality Productions at Affordable Prices! 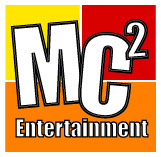 That's the MC2 Entertainment Guarantee!! Our shows have had great box-office success! Our affordable royalties will help your theatre keep production costs at a manageable level! Our shows will attract audiences of all ages! Our newest production. Based on the Reader's Digest story, "The Ivory and Gold Tablecloth." A musical about life's little annoyances. Based on the book by Marc Brown, "Arthur's Halloween," it's an original musical for the whole family. Five strangers are stranded in a small-town diner on a blustery Christmas Eve. A happy retelling of the classic tale with an infectious, lighthearted array of delightful songs. The Charlotte Bronte masterpiece in all its Victorian splendor, brought to life with a rich, haunting score. Based on the book by L. Frank Baum, "The Life and Adventures of Santa Claus," it's a joyous holiday musical treat for the entire family. A selection of interactive murder mystery plays to entertain and involve dinner theater guests.